Match the colours of Hettie's ribbons to your wedding theme. 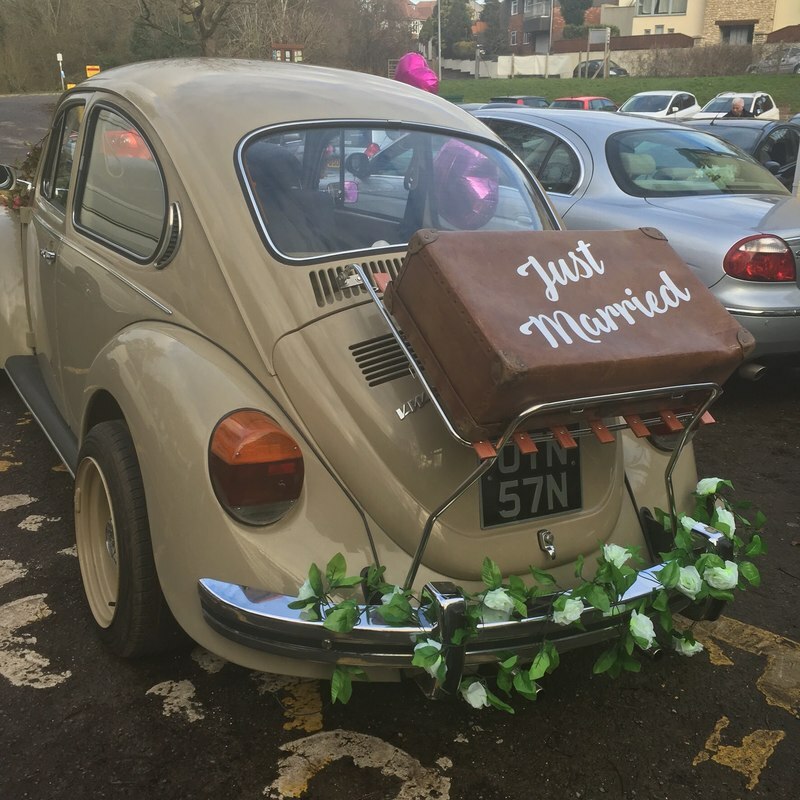 Our Vintage case comes as standard on Hettie's bootrack, after the ceremony we'll turn it around to read ;Just Married' for the onward journey. Please let us know if you do not want this on the car. Add a retro hamper including locally sourced snacks and drinks*, to enjoy on the journey. Choose from two variations Classic or Sweet Treat.